A new UK consumer survey reveals that most British mobile users are not concerned about security. The survey from internet security company, ZenMate, carried out by OnePoll, found that many UK smartphone users are rather apathetic when it comes to mobile security, which may come as a surprise to some, considering one would think that the average mobile user would find it important to protect personal and sensitive data on their device, especially with the number of cyber attacks on the rise. Less than half of the survey respondents said they protect their phone’s browsing data or connections. The survey, which had 2,000 participants from the United Kingdom, also discovered that over 45% of those who participated admitted that they do not even implement basic security measures for their devices, such as using a passcode lock. In other words, if their smartphone was lost or stolen, the thief or whoever finds their phone would be able to gain instant access to their apps and other information. Furthermore, only 41.5% of participants said they take precautionary measures when using their mobile phone for online browsing and when using public networks that are unsecured. To further back up this finding, a recent report by Ofcom revealed that, on average, people do not typically think twice about security when accessing public Wi-Fi. 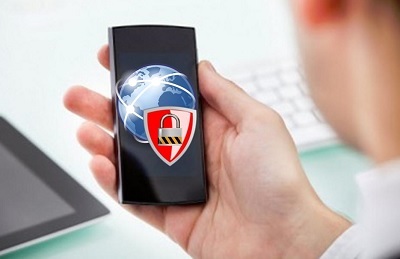 Only 35% of participants said mobile security is their top concern when browsing online. Of the survey respondents that made up the 18-24 age group, while 35% said privacy was their major concern when surfing the web via their smartphone, 44.6% said that speed is more important to them than privacy. Moreover, 77% said they regularly use unsecured public W-Fi. The co-founder of ZenMate, Simon Specka, said that with so many people using public Wi-Fi, it means that more consumers are increasing their risk of opening themselves up to cyber criminals, and most of them are completely unaware of it. He added that if consumers want to access unsecured networks via their mobile device it is prudent to have mobile security protection.